PLEASE NOTE: There are no courses for sale on this catalog. This website is here so that you can access certificates that were earned on an older system (pre 5/1/2018). Use the email address associated with your OMBAC account. You will need to click on the reset password to receive a password reset if this is your first time logging into this website. If you have any troubles doing this - please contact tech support at 877-602-9877 and we will be happy to assist. If you are looking for new courses to purchase, please go to one of the corresponding City Bar Websites. For the Akron website, click here. For the Toledo website, click here. For the Dayton website, click here. For the Cleveland website, click here. For the Cincinnati website, click here. For more than twenty years, members of Ohio’s six largest local bar associations have been reaping direct and indirect benefits from one another. 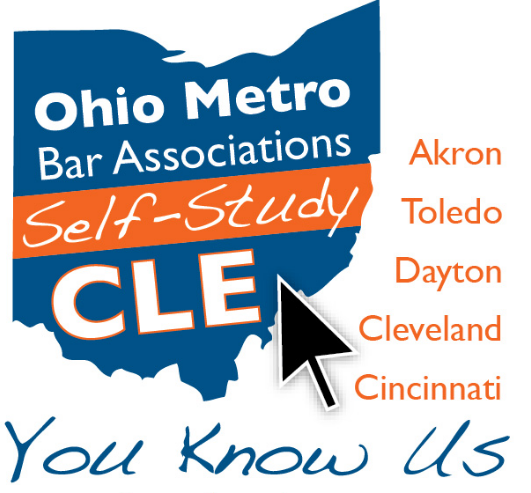 In the late 1980s, leaders of Ohio’s largest metropolitan bars began collaborating on statewide issues relating to the legal profession and the operation of their local bar associations. The result of such collaboration has evolved into the Ohio Metropolitan Bar Association Consortium or by acronym, OMBAC.